Turn on your sound system now for some great music of that period on each page! This website is dedicated to a veterans group of "Combat Field Grunts" that served together in South Vietnam during the Vietnam War with Company C, 2nd Bn, 506th Infantry Regiment of the 101st Airborne Division (C/2/506th) during the years of 1970 and 1971. After many years of looking, we have been fortunate enough to find each other again. 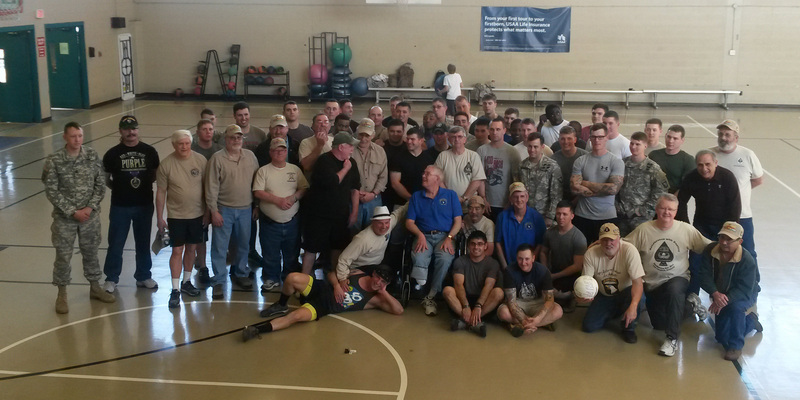 And our little "Band of Brothers" is still growing at 139 men found. We continue to seach for and reachout to many of our "unfound" brothers that we served together with, and their families, that may be looking for us. To that end, we hope this website may help. We want to invite all of the members of Charlie Company to participate in the development of this website. We need your help in collecting all of the missing information needed to fill in the blanks on these pages. Names of Officers, NCO's, and men from the platoon's that you served in. Think of this website as a "on-going work in progress" and we are always looking to you, our brothers, for information, comments, and suggestions on the content of this website...."your website". Let us know what would be helpful to you? What would you like to see here? And how can we reach more of the men that we served with? 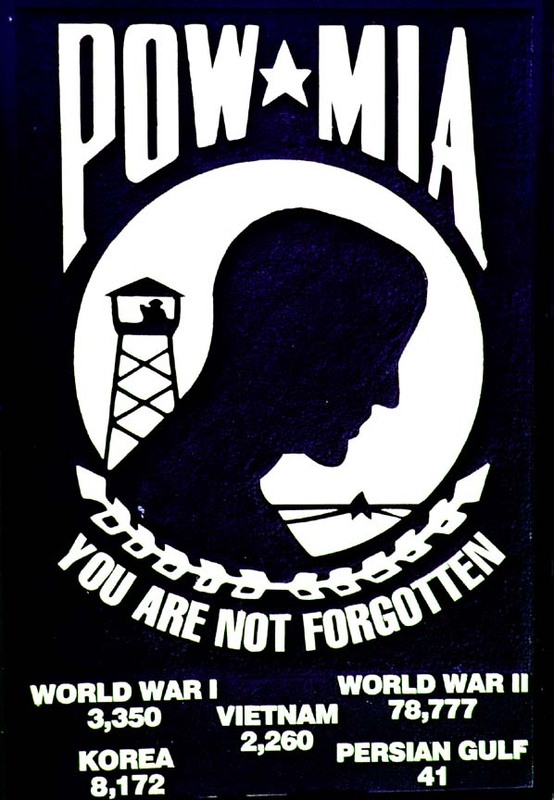 Add this website to your favorite's list and check back offen, we are constantly adding new members to the group, posting new material of interest, and adding new photo albums into our Photo Gallery pages (now over 1500 Vietnam War photos). View our site along with some great music of that period on each page. So be sure to turn on your sound system, and you may need to accept the active X controls for the player if you get a notice pop-up at the top of the viewing window... 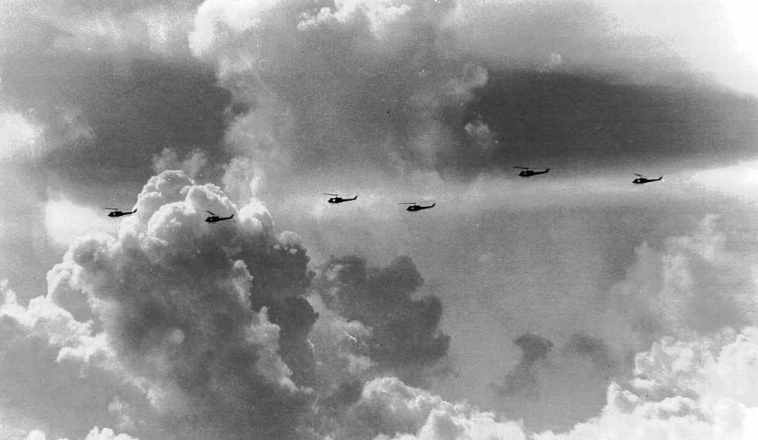 The audio piece that your are now hearing on this page is how Infantrymen feel about the Chopper Pilots that supported us in the field. "God's Own Lunatics" is narrated by Joe Gallaway (The only civillian to earn a Bronze Star) who also co-wrote the book "We were Soldiers Once and Young" with Gen. Hal Moore which became the movie "We were Soldiers" with Mel Gibson. This audio is a very powerful and healing piece. 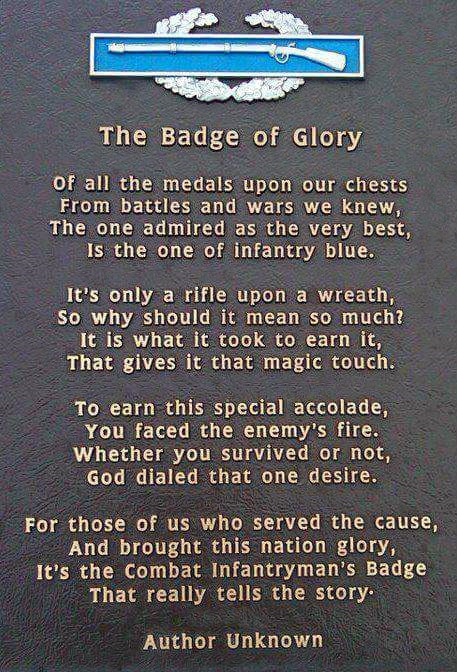 It is our hope and desire, that here on our website, you will find a sense of veteran brotherhood, joy in the days of ole, and healing.... A place where you can be proud of the job that you performed for your Country. And re-connect with your old buddies and come full circle to find peace of mind!! !! Our Newly Found Charlie Company Vets !! 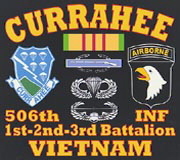 Give a big "Currahee Shout-out" to: Don Holthausen 1st Platoon, Paul Burkey 3rd Platoon, Dan Rogers 3rd Platoon, Charles Jones 1st Platoon, Dennis Figley 3rd Platoon, Bruce Smith , Dan Akins 2nd Platoon, Chet Lucas 3rd Platoon, Bob "RT" Tarbuck 2nd Platoon, Andy Giles 2nd Platoon, Randy "Satch" Garver 2nd Platoon, Bob Smith 2nd Platoon, Rick Walsh 1st Platoon, Dale Cooper 1st Platoon, Jesse Butler 1st Platoon, Del Pulliam 1st & 3rd Platoons..... Welcome back men, to the old Company C group! You can now find these guys listed on our "Roster" page. To all Vietnam Veterans, many who have emailed us with praise for our website, the men of Charlie Company wish to say "Thank You" to all veterans that have served our country then and now. And we would also like to add a very special "Welcome Home" to each of you!!! These are a couple of reasons why we are reaching out to support each other today, and why it is so important for us to locate our unfound friends and brothers. Nobody can understand how a combat veteran feels like another combat veteran!!! FACT: THE AVERAGE WW II COMBAT SOLDIER HAD 40 DAYS OF COMBAT IN FOUR YEARS - THAT'S THE AVERAGE..., AND THE AVERAGE COMBAT SOLDIER IN VIETNAM HAD 204 DAYS OF COMBAT IN JUST ONE YEAR. . . YOU CAN ONLY IMAGINE WHAT THAT DID TO THE MINDS OF THE YOUNG MEN THAT SERVED IN COMBAT!! Read the complete 2/506th history of 1970 here . . .Wow! The Vietnam Warriors - A Statistical Profile . . .Wow! See the suicide rate, it's still climbing daily! THE "VIETNAM WAR" EXPERIENCE FROM A VETERANS POINT OF VIEW. . .
OUR BELATED "WELCOME HOME" . . .
A TRIBUTE AND THANK YOU TO OUR AGING VETERANS AND DEDICATED TO VETERANS WHO HELPED TO PRESERVE OUR FREEDOM. OTHER GREAT VIDEO's OF INTEREST. . .
Good Ole Boy, Toby Keith. . . .THIS ONE WILL GET YOUR BLOOD PUMPIN'!!! The 2019 Charlie Company Reunion will take place in Branson MO and we will join many other veterans in Branson forVeterans Week. We will also be participating in the 3rd largest Veterans Day parade held in America on Monday Nov 11th. We have scheduled the reunion at the Radisson Hotel in Branson MO. To reserve a room you will need to contact Joy at Ozarks’ at Kirkwood Travel and Tours who is providing all of our set-up. Reach her at: 1-800-848-5432. (Do not call hotel for reservations) Reservation rates, includes, hospitality room, 2 full breakfasts per room per day, show discounts, and other amenities. A $100 deposit required upon Hotel registration. Because this is at Branson with unlimited shows and entertainment we have tried to provide more free time in the evening for groups spend more time together either dining, going to shows or just hanging together and visiting. Also variable check in days, come early or come later as the week ends with the main events. Saturday Afternoon: Meet and Greet in hospitality room, Chinese Auction (Bob and Shirley Lister), Charlie Company will attend special show together as a group. Monday: Breakfast, Preparation for parade, Parade 11:00 AM – 2:00 PM, Those planning to leave after parade the airport is an hour away in Springfield MO. Some of us are planning to leave on Tuesday Nov 12th. Those planning to leave on Monday could check out before the parade and would have access to storing luggage in our rooms until after the parade. Please don't procrastinate; Yes it is 9 months out but there is a huge demand for rooms in Branson for Veterans Week. Start your planning today. Let's start a sign-up sheet for those planning to attend. Hit reply all and put your name, those who plan to attend, what days you plan to arrive. Don't hesitate to call me with questions. Check back here offen for up coming events. 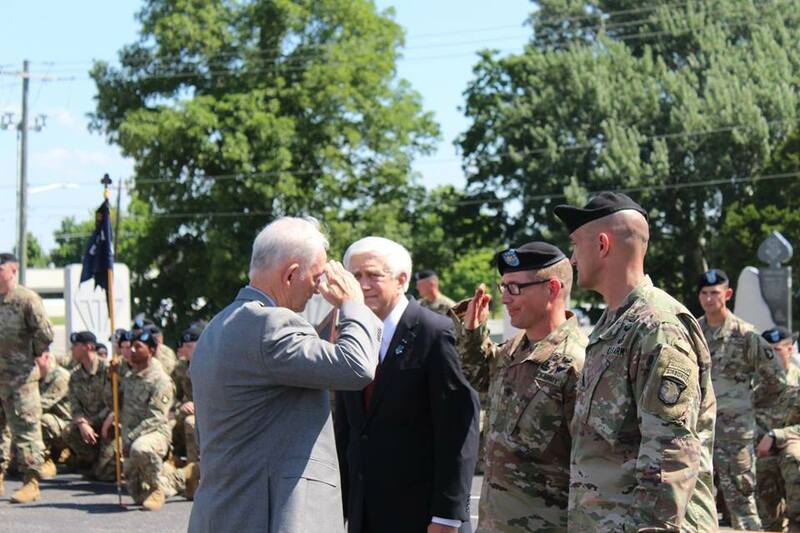 Gary's After Action Report: ___"Another great reunion at Ft. Campbell, KY"
The reunion officially started on Tuesday May 22nd but many if not most of the men, wives and family showed up on Monday. The first day we stayed around the hotel and greeted the early arrivals one after another. That evening we filled the lobby of the hotel as everyone was having a great time just greeting each other. We ordered a 9 pizzas; beverages and snacks, including the hundreds of Currahee Beef Sticks which SGT Chris Christiansen and Randy "Satch" Garver made for the reunion, and continued to hang out together for the evening. On Tuesday some went onto the post visiting units while the ladies put together a shopping trip into Clarksville. We had about 60 gather at Senor Lopez Restaurant for dinner and had a great time. We went back to the hotel and thanks to the ladies led by Shirley Lister held a Chinese auction raising about $1200 in little over an hour. Bob Lister and Dave Simonds had some funny presentations for us. Long story short I got the low card and took control of Bob's "the infamous Red Suit Case". Somehow Bob's warped memories made me out to be Gary "Rambo". 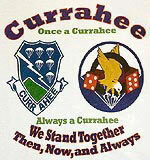 We had a couple young Currahees with us and had a fun time getting to know them. Wednesday was Firing range day. There were 20 who spent the day firing the M-4 and M-9 and having a great time sending rounds down range. 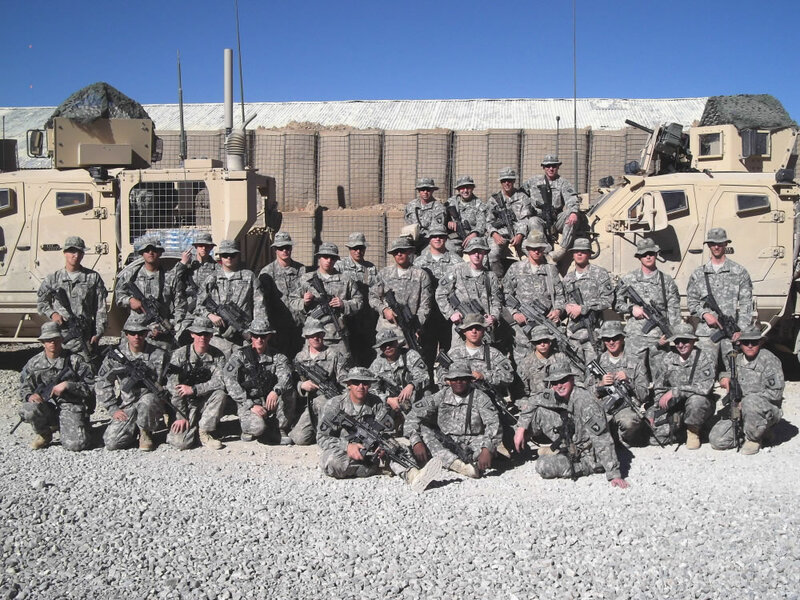 The young soldiers of Charlie/Fox company spent a lot of time talking to us about their equipment, their readiness, training schedules and how much it meant to them to be on the range spending time with those who had served before them. Capt. 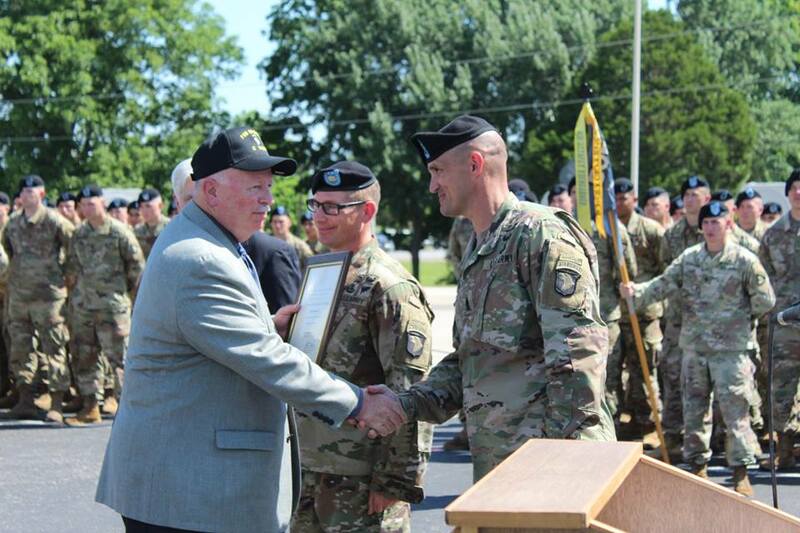 Gonzales, Charlie/Fox company commander was an encouragement to all who spent the day on the range. Wednesday night we held our Memorial Dinner with 25 Charlie Company men in attendance, along with their family members. Dave Simonds, Frank Matsko, and Bob Lister did the presentation of the Missing Man Table followed by the Final Roll Call of our Fallen Brothers and those who have passed since returning home. This was one of the most moving final roll calls we have had to date. Let us never forget our brothers. Bob Smoker gave a presentation of how he has returned to Vietnam through the years as a missionary, telling the group how his wounds of the war is healing by putting the past behind and providing spiritual need of the Vietnamese people today. 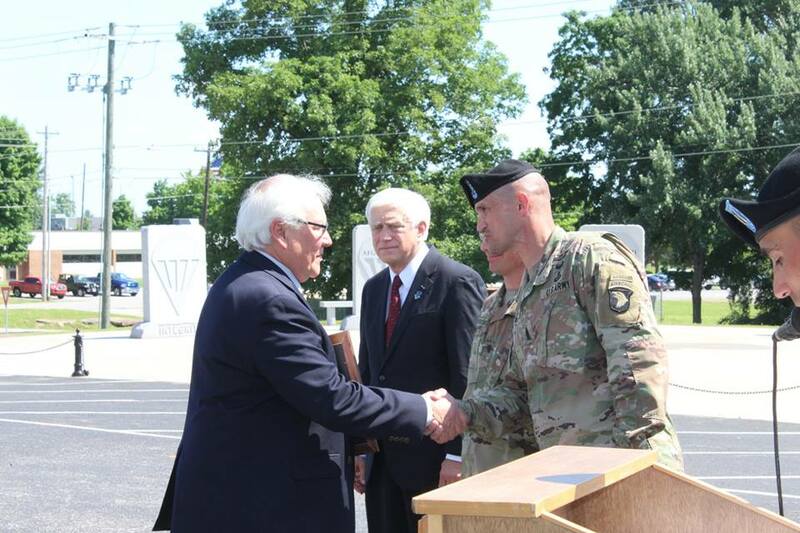 LT Pitetti and Charlie Company presented Capt. Seitz with the award. 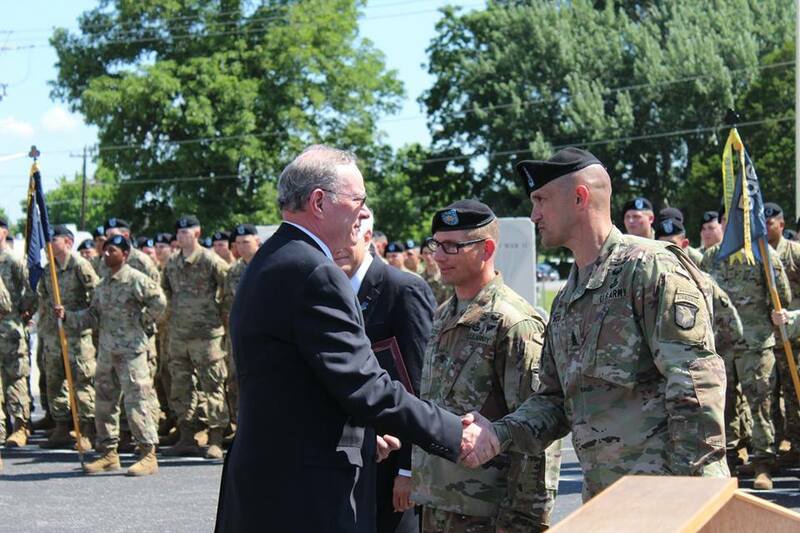 On Thursday, 5 more Charlie Company men were inducted in as DMORs. 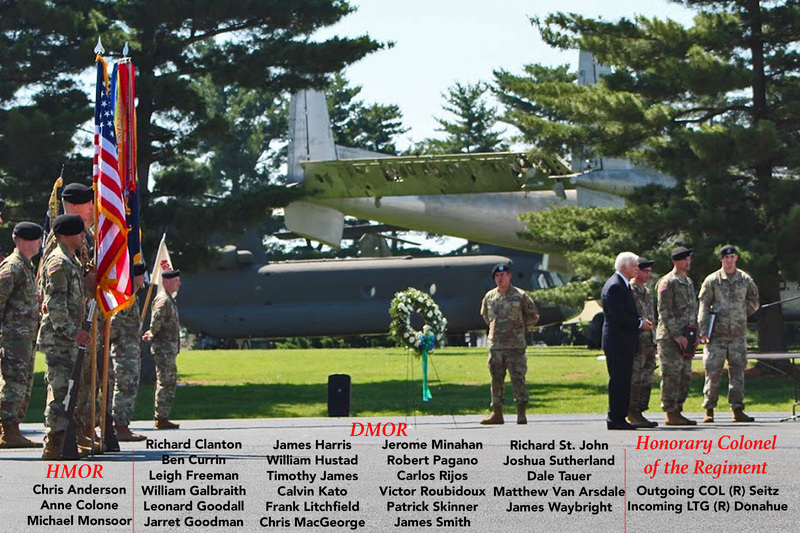 We are so proud to see Leigh Freeman, Calvin Kato, Jim Harris, Jerome Minahan, and Victor Rubidoux added to the DMOR roll. Congratulations to all those inducted in 2018. We were also proud of 3 men we knew from Charlie/Fox 2010 Tim James, Chris MacGeorge, and Carlos Rijos who also received their DMOR. 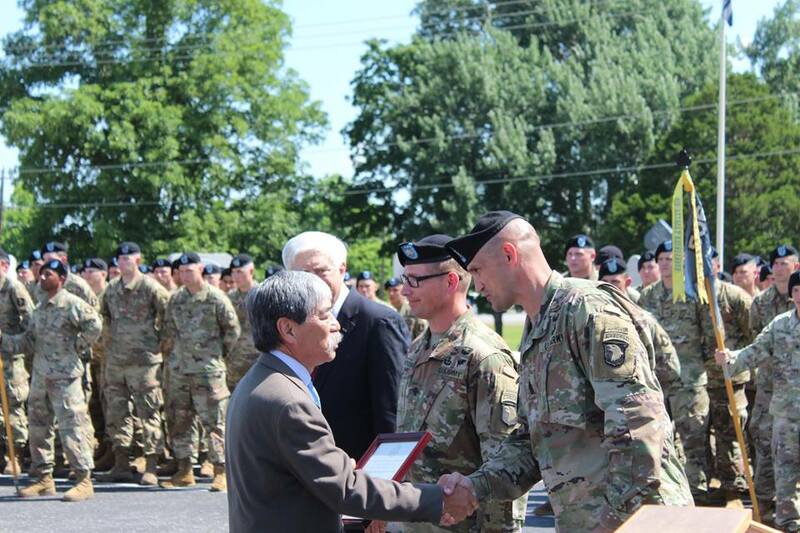 Most of those who attended left for home immediately following the award ceremony; as many , would return home to participate in the local Memorial Day ceremonies. Thanks to all who support us in thought even though you may not be able to come to the reunions. Hopefully someday soon you will be able to join us. 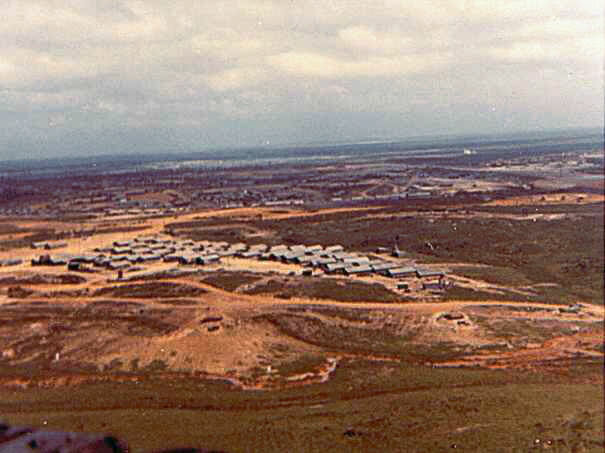 Camp Evans as seen from the Huey's returning from the field. 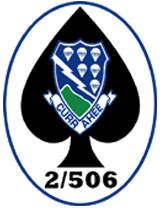 The 2nd 506th area is shown in the foreground next to the wire.